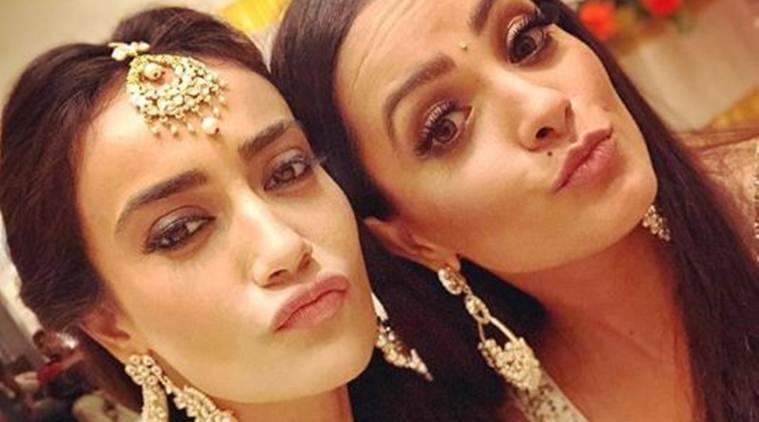 Naagin 3 will see Anita Hassanandani, Surbhi Jyoti and Karishma Tanna play the female leads. The most-watched folklore on Indian television, Naagin is back with its third season. After Mouni Roy and Adaa Khan became household names with the previous seasons, Naagin 3 will see Anita Hassanandani, Surbhi Jyoti and Karishma Tanna play the female leads. While Pearl V Puri will play the hero of the show, Ekta Kapoor’s loyalist Rajat Tokas has been signed in to play a cameo in the same. At the recently held launch of Naagin 3, Surbhi got in an exclusive chat with indianexpress.com, talking about her association with the franchise, sharing screen time with two other actors and a lot more. A lot has been said about supernatural shows and how it’s regressive in the current scenario. “When I was offered this I had to convince myself as whatever I do, I do it wholeheartedly. As an actor, I really wanted to do something really different and I don’t think I could have had a better option. I think I really made a wise decision,” Surbhi commented. The trend of web series has now caught the world but Surbhi appeared in a bold romantic show Tanhaiyaan with Barun Sobti.“To be honest, I have no qualms about doing bold stuff if it’s important to the storyline. Why not, as actors, we need to be confident and convincing about our roles. But yes, I will never attempt it uselessly. As for web-series, I would love to do one again. For me, I want to continue working on good projects regardless of the medium,” she added. Naagin 3 will air every weekend, starting from June 2 on Colors.